Have you ever encountered situations that you failed to upload your HD/4K video to the web, send video clips by email or instant messagers, store and play HD/4K videos on space-limited portable devices? The big video size comes to a chief culprit. Here's the best way to reduce and compress video size by up to 90% without quality loss. With the popularity of HD cameras and the preference for 4K UHD/1080P high definition, a very short video can easily run several gigabytes in size. This enforces users to compress video to make the video smaller sized for different reasons. For example, to allow the videos to be uploaded to web like YouTube or sent via email to family or friends, you have to make video size smaller than 2GB for YouTube and 25MB for most email system. Another simple example, you will need to pay extra $100 to get an iPhone 6s with larger storage. So, in the final analysis, is there any video compressor or way to reduce the video file size of these large HD/UHD videos? Basically, you will need a special video size reducer to help you downsize video, like Windows Movie Maker, Handbrake, Adobe Premiere Pro, VLC etc. Whichever you choose, the factors that affect the video size are similar. Here are the several ways to reduce size of videos. There are different formats accompanied with a number of codecs. The size of a video also varies distinctly among different formats and codecs. For example, a MKV video can be larger than video in FLV. 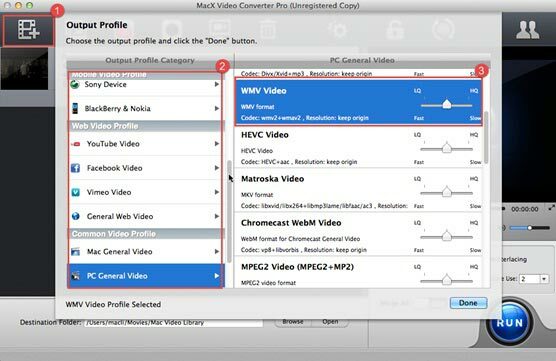 Therefore, we can reduce video file size by converting video to smaller formats with a professional video converter - MacX Video Converter Pro, whose primary feature is to help you compress and convert any video (SD or HD/4K) to smaller-sized FLV, WMV, H.264, et up to 180+ video and 14+ audio formats supported and transfer it to a downsized video ready for mobile, YouTube, E-mail. Built-in with High Quality Engine and hardware acceleration tech, it can produce a smaller-sized output video in seconds without losing quality. Below are a few common video containers and codecs users can stick to shrink video while not sacrificing video quality? H.264/x264: It looks like quite a lot of people use h264 or x264 for that they deliver better video compression. H.264 offers better quality at lower file sizes than both MPEG-2 and MPEG-4 ASP (DivX or XviD). Xvid/DivX: DivX and Xvid are multimedia compression codecs based on the MPEG-4 ISO format (MPEG-4 Part 2, also known as MPEG-4 ASP). Both codecs have a good compression and would give a small file size. FLV: if you want to compress video for uploading to web, try to transcode video files to FLV for YouTube FB uploading as it's a format of choice for web video applications. WMV: WMV is relatively small in size and good in quality. It's a popular choice if you want to reduce video file size for video email, web video, and permanent storage on a PC. RMVB: RMVB (realmedia) also tends to give the lowest compressed size. Beyond the video formats, the video file size depends on many variables: HD (High Definition) vs. SD (Standard Definition), frame rate, color depth, even the amount of movement in the video. Below we list a few parameters that count for a lot when you shrink and downsize video file size. 1. Resolution. The final size of a video depends much on the actual pixel dimensions. For example, the standard video (SD) is 720 X 480 pixels (345,600 total pixels per frame)and a HD video is 1,920 X 1,080 (2,073,600 pixels). The more pixels the video is, the larger the size will be. So you may downsize 4K UHD to 1080P/720P to leave more space under the help of a video resolution converter. 2. Frame rate. Videos are typically shot in about 24 or 30 frames per second (fps). If you cut the number of frames in half, the video file size will be cut in half. 3. Audio settings. Audio quality also amount to much when it comes to the video size reduction. For example, a 128K Constant bit rate can be 8 times larger in size than that of 16K. The sample frequency (the lower the number is, the smaller the file will be) also effects the final file size. In addition to the parameters above, many more variables also involve in the file size. To realize the video compression task, you may also try to adjust the video length, progressive or interlaced frames, constant or variable bitrate streaming, buffer size, render quality etc. Keep those in mind, now let's learn the useful video size converter that will reduce video size of MOV, AVI, MKV, 3GP, MP4 etc. There are many tools claiming that they can reduce video file size, for example, most users compress video size with Windows Movie Maker. However, with the release of Windows 10, Windows Movie Maker is no longer available. Here is an alternative that works equally well to make large files smaller, MacX Video Converter Pro. This file compressor can significantly shrink file size without losing any quality by converting the video to smaller formats like FLV, WMV, AVI, RMVB etc, adjusting various video audio settings (Bit rate, resolution, codec, frame rate, etc. ), cutting unwanted parts, free set the Start Time and End time, etc. The whole video compression process will come to an end within mins even secs thanks to the Intel QSV hardware acceleration tech to whopping improve compression speed. The video compressor works easily to lower the size of video file for uploading to web like YouTube/Facebook, sending via email, playback on mobiles and more with super-fast speed. I have used it to compress a MP4 video which is 88.0MB. After compression the size is 7.1MB, achieving a compression ratio of about 12 : 1 without quality loss. Below are the steps about how to compress video files. Free download this video file size compressor on you computer. For Mac (macOS Mojave/High Sierra/Sierra/El Capitan) users, go to the Mac version. For windows (Windows 10) users, go the windows version. Launch this video reducer and click "Add File" to load the video files you want to resize. To reduce video file size, choose one of the formats with smaller size. To upload to web like YouTube, you're suggested to convert the video to FLV; to send the video via email, select WMV as the output format; to playback on Android iOS devices, choose MP4 (or the specific device profile like iPhone 7/7 Plus/6S/6S Plus/6/6 Plus/SE and more). In the settings window, you are allowed to adjust various parameters like Resolution, Frame Rate, Bit Rate, etc. Note that the lower parameters value will reduce video size, but it will also degrade the video quality. So make a balance between the quality and size. Tips: you can also edit the video to further reduce video file size, like trim the unwanted parts or cut the necessary length etc. After finish the above steps, click the "RUN" button to start shrink video file size now. The video size reducer will compress MP4, avi, mov, 3gp etc with No.1 fast speed and 98% quality reserved. The above video compression tool is always recommended. However, a few other compressors are also here for you. (Note that the process of compressing video files is similar to that mentioned above). Handbrake is a common choice among the top video compression software. Handbrake can easily compress the large HD 1080P files to relatively small video size. Besides, features are offered to allow users to change the level of compression. It's a fast, simple and free video compressor, the only thing to note is that you may need to compress repeatedly sometimes due to unsatisfactory output quality. To shrink video file size without losing quality for email, web or mobiles, many other users choose Windows Movie Maker. Admittedly, Windows Movie Maker serves as a simple and efficient compression software. 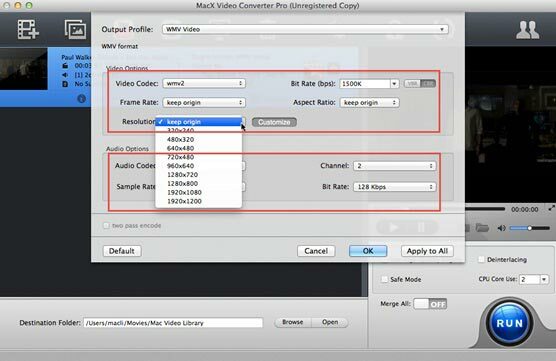 Users can save the videos in high quality formats and choose from a wide variety of compression modes. But it’s not an default option in the latest Windows 10. 1. Data compression ratio [Wiki]: Data compression ratio is used to quantify the reduction in data-representation size produced by a data compression algorithm. The data compression ratio is analogous to the physical compression ratio used to measure substances. Compress and reduce 4K, 720p, 1080p HD video size by up to 90% without quality loss.